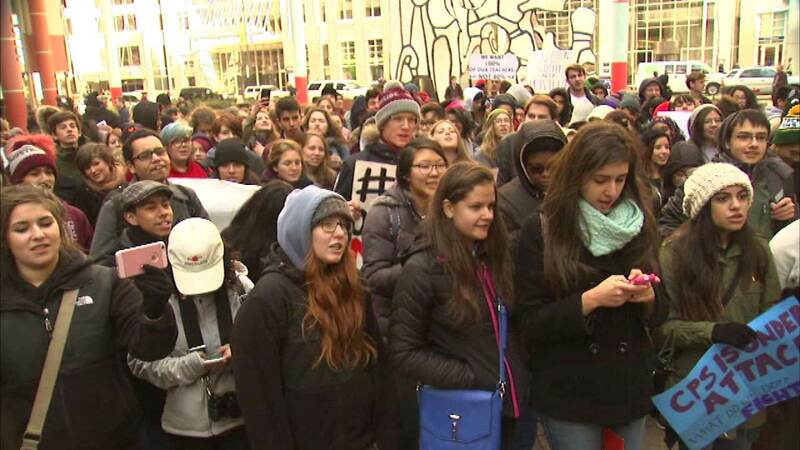 CHICAGO (WLS) -- Chicago Public Schools students worried about possible teacher cuts and the district's troubled finances held a rally Friday. Dozens took part in the event that began at the Thompson Center. CPS CEO Forrest Claypool has said there will be layoffs if the state doesn't come through with about a half billion dollars. Students attending Friday's rally expressed concern about the impact cuts could have on their education.